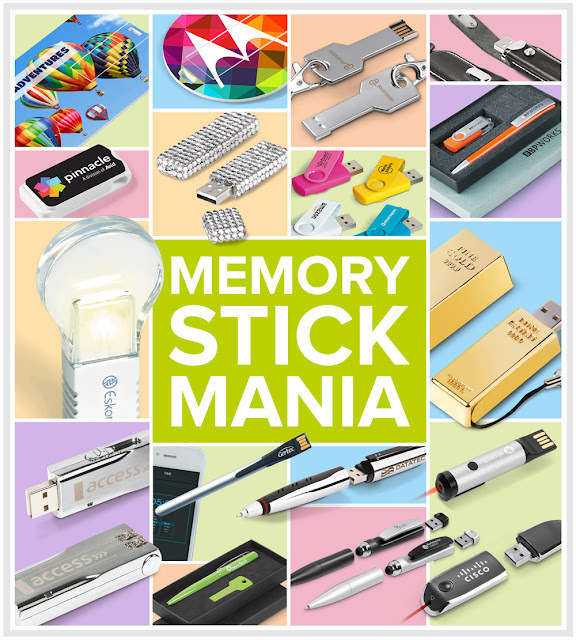 From entry level USB sticks available in an array of bright colours to upmarket, beautifully presented Flash Drives, there’ll always be a memory stick for you, no matter the budget or requirement. Until the end of December, take advantage of our reduced memory stick pricing. Memory sticks can be pad printed or laser engraved. Don’t miss our 4 popular models that include Full Colour Printing on one side – offering dynamic, photo-quality, full-colour branding, these models have already proven to be a hit in the few short months that we’ve been offering them. Remember, all models include packaging, ranging from microfiber pouches to branded gift boxes. Promotional USB flash drives can be pre-loaded with price lists, trial software, or any other kind of information that might attract interest from y.. Create a completely unique and personal USB branded with your company logo through our flash stick range. With numerous styles and size options you ca..
USB flash drives are much smaller than hard-disk drives, and it is common to slip them into pockets or attach them to key chains. The fun designs of n..
We are excited to introduce the Pivot Memory Sticks which is perfectly suited for full colour printing! The Pivot Memory Stick is presented in a.. The new XD Design Nino promotional usb stick is useful, sophisticated and beautifully packaged. Presentation is key when it comes to gifting and we’re..